A short few days after the delayed Q&A from last week, BioWare have covered off answers to another handful of questions. This week, there’s even some lore thrown in for good measure! Skendra: Question about Legacy! Under Character Perks -> Travel, at 1.2 there was buff for Sprint Speed but locked and now in 1.3 it was changed to Priority Transport. Why? Will Wallace (Senior Designer): There were both internal and external balance concerns about allowing players to purchase upgrades to Sprint speed, especially as it related to advantages in Warzones. We don’t want someone to feel like they have to have an optional purchase to be competitive in PvP. The Priority Transport perks were created as a replacement since they are beneficial for all players without upsetting the balance of the game. Char_Ell: What is the backstory of the seven pillars on Corellia commemorating the heroes of The Jedi Civil War in BTC 303 (Revan, Bastila, Carth, Canderous, Juhani, Mission, Zaalbar)? How did the people of Corellia arrive at the decision to build the pillars? 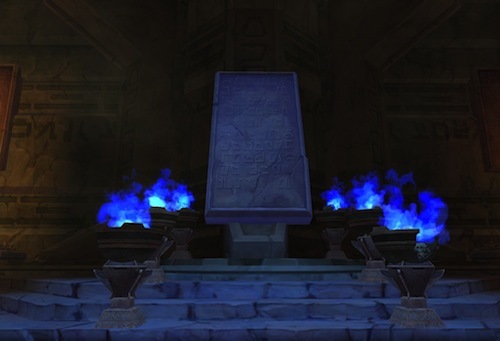 Hall Hood (Lead Writer): Monuments to these great heroes who saved the entire Republic were constructed on multiple Core Worlds after the war’s end. The motivations behind these memorials differed from planet to planet. Some were built by politicians cynically displaying their patriotism, while others were created by artists and refugees seeking to honor their saviors. Corellia’s pillars, like its many museums, were built as much for tourism as a sincere display of Republic solidarity. Trivia note: a beautiful monument to the heroes stood outside Coruscant’s Galactic Senate building for nearly three centuries, but was destroyed by Sith Empire forces during the planet’s sacking. Republicmeat: When the in-game event of the Rise of the Rakghoul plague was taking place, there was that vendor in Tatooine who you could sell DNA samples to. Will we ever get to sell our remaining DNA samples if we still have some or are they obsolete from now on since the vendor was removed? Rick Burton (World Designer): I’ll give the nebulous answer of “It is certainly possible that the DNA samples will be spendable again” with the caveat of “We have no plans at this time to reuse the DNA samples.” While this does not help you decide what you should do with your left over DNA samples, it is the most honestly accurate answer to the question. I’ll throw in one slightly less vague bit of relevant information. For future events, we have made tweaks to the design based on player feedback that should lower the odds players are unexpectedly stuck with “no longer spendable” event currency. LNSSnorkle: We know players that don’t migrate by themselves will have their chars automatically moved. The thing is, how can we know where they will end up? Damion Schubert (Principal Lead Systems Designer): Once we do automatic transfers, we will be doing everything possible in order to maintain the basics of the current ruleset as possible – PvE vs PvP, regional choice, language (for Europe); so in many cases, you should have a good idea of which populations you are likely to end up with. Another top concern is trying to help the populations that result have a good factional balance. We will give out a specific list once we are closer to implementation of this plan – watch for more info soon! MayoJar: Lately you have been implementing “Server stability” fixes. Can you explain what exactly that is? I keep visualizing some intern sliding napkin shims under a corner of the server. Is this to fix lag issues, log in times, or transition screen load times? Damion: I can see how this might be confusing to some players – SW:TOR servers, since launch, have enjoyed a reliability of greater than 99%, and since 1.3 went live, we’ve actually improved that to be greater than 99.97%, which means our servers pretty much never crash. However, Game Update 1.3 introduced a server bug that resulted in some players disconnecting randomly from the game, and the server team worked diligently after 1.3 went live to find this issue and stamp it out. This patch note refers (in vague terms, admittedly) to those fixes.